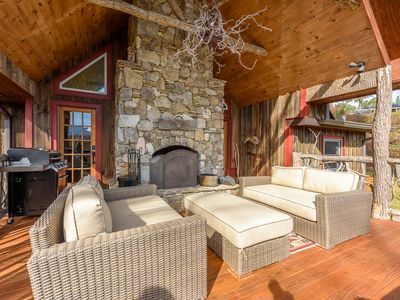 Upscale Mountain Retreat Nesteled In The Blue Ridge Mountains! 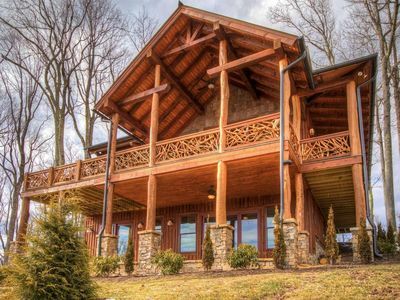 Enjoy the views all the way to Tennessee from the wrap around porch of this High Country beauty. 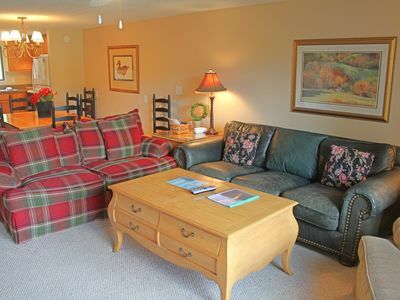 Fully furnished for your Winter Ski Getaway or Summer Vacation. 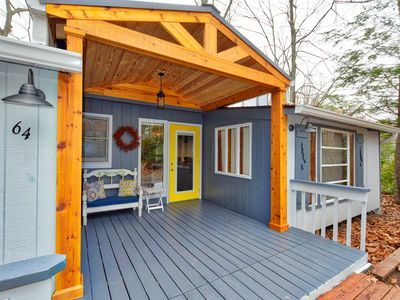 Newly constructed deck offers outdoor eating and lounging area. 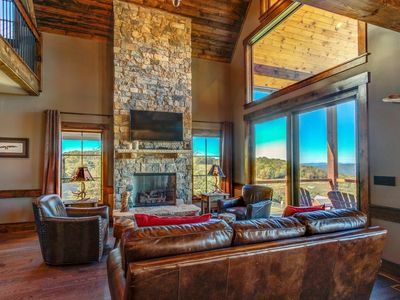 Property features a large open kitchen-to-den floor plan surrounding a double sided fireplace on the main level. 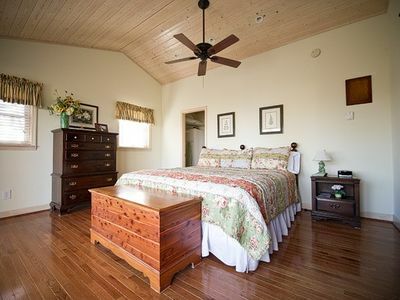 Master suite (King) and half bath are located on main level as well. 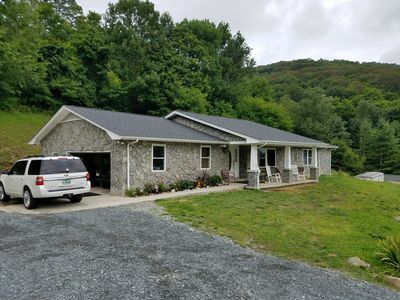 Lower level features addition Master Bedroom (Queen) with full bath, Bedroom 1 (Double) with full bath, Bedroom 2 (Double) with full bath, full sized laundry room, wet bar and porch. 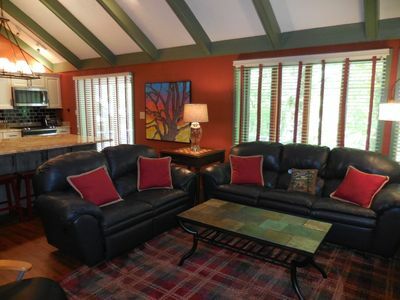 This home is located on a large lot that offers plenty of privacy in a lush surrounding. Don't be surprised if a few white tail deer join you for your morning coffee! Parking for 2-3 cars. Firewood available on site. Ski Beech is less than a mile away. 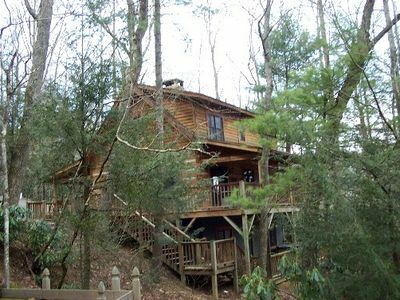 Plenty of restaurants within a short drive, general store and other activities are 2 miles away. 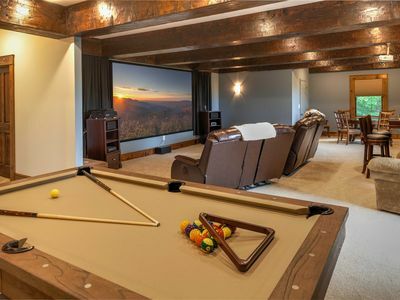 What To Do in Summer: The Beech Mountain area offers plenty for Summer Travelers. Buckeye Recreation Center has cool playgrounds for the kids, a state of the art work out facility, nature preserve, walking track and fishing. A lap around the track feels like you are walking in the clouds! 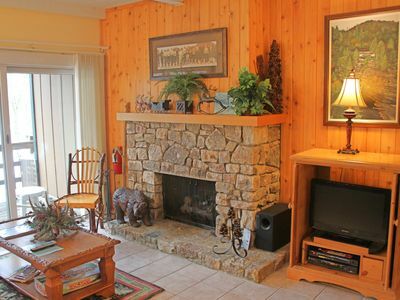 Lake Coffee offers hiking trails, pool and tennis facilities, additional fishing, basketball and a track. The Mile High Kite Festival is not to be missed! Festivals, outdoor concerts and town gatherings are hosted almost every weekend. 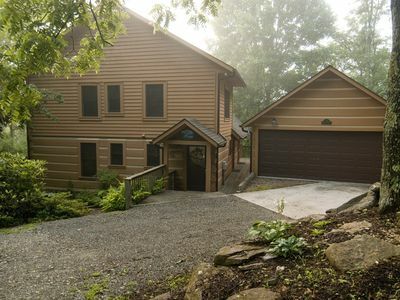 Beech Mountain Golf Course is a short drive away. Whitewater rafting on the French Broad, or tubing in nearby Todd. 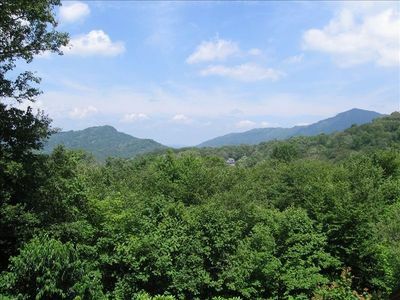 Nearby Grandfather Mountain offers wonderful hiking and many outdoor adventures. 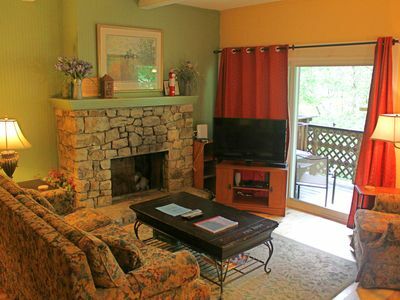 Blowing Rock is great day trip with some of the best shopping in NC (outlets too). 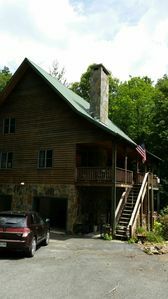 Nearby Lees McCrae College and Appalachian State University offer many cultural events in the summer months too! What To Do in the Winter: SKI, SKI, and more SKI (or snowboard)!! 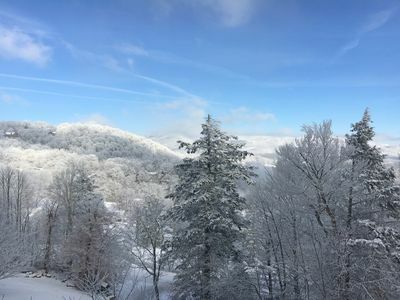 Being the highest town in the Eastern United States, Beech Mountain has plenty of trails for the snow enthusiast. From black diamonds to the bunny slope (with plenty of instructors) Ski Beech has something for everyone. If skiing isn't your thing, check out the ice skating rink or just sip hot chocolate from any of the restaurants in the ski village and watch the fun! Separate slopes for sledding (ages 12 and under) and tubing are located at the town center. 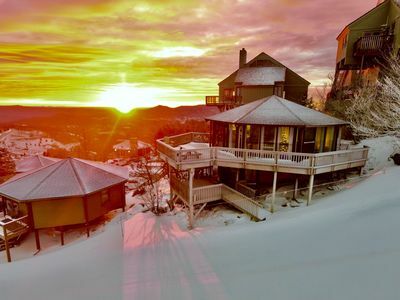 Gorgeous Long Range Views- Book Now! DATES AVAILABLE IN MAY, JUNE AND SEPTEMBER. 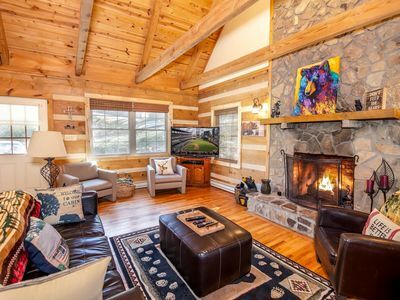 3BR/3BA plus Sleeping Loft in downtown Banner Elk - Sleeps 8, Mountain Cottage with Timeless Charm, Views of Grandfather Mtn, Hot Tub, Pool Table, Outdoor Fireplace, Fire Pit, and Screened Porch with Napping Swing! 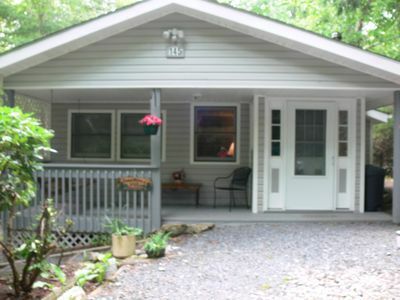 Covered porch is a fantastic place to begin or end your day the carefree way! 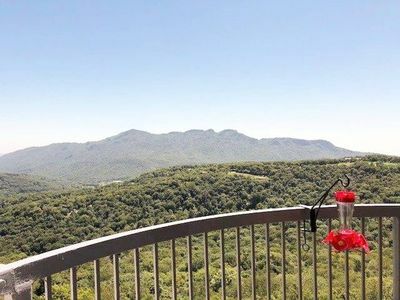 HEAVENLY GRANDFATHER at SugarTop "Where the view is simply divine!"